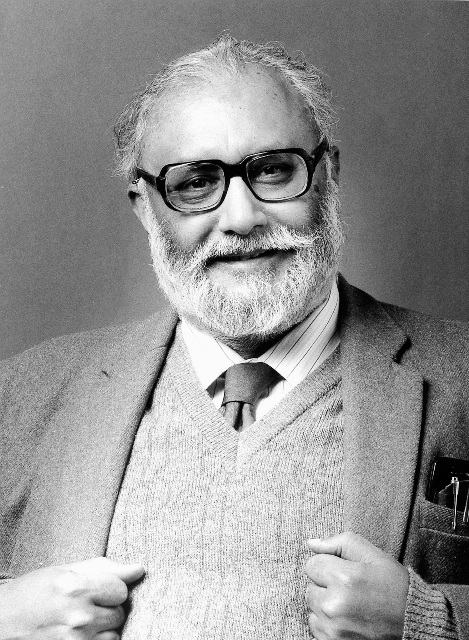 In 1985 George Coyne, Francis Everitt, Fang Li-Zhi, Riccardo Giacconi (Nobel laureate 2002), Remo Ruffini, Abdus Salam (Nobel laureate 1979), promoted the establishment of the International Centre for Relativistic Astrophysics (ICRA), asking the Rector of the University of Rome "La Sapienza" Antonio Ruberti to host the Centre at the Physics Department. ICRA became legal entity in 1991. A successful story of research followed for 20 years. ICRA was further extended to other Institutions, as it is clear from the current Statute. Founders of ICRA. 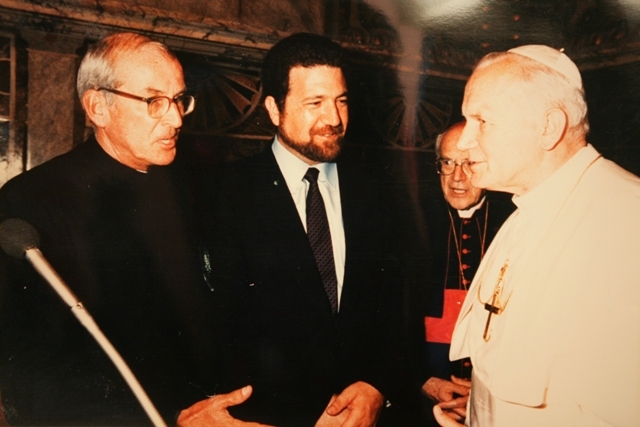 Above: George Coyne and Remo Ruffini in presence of His Holyness John Paul II; Francis Everitt; Fang Li-Zhi. 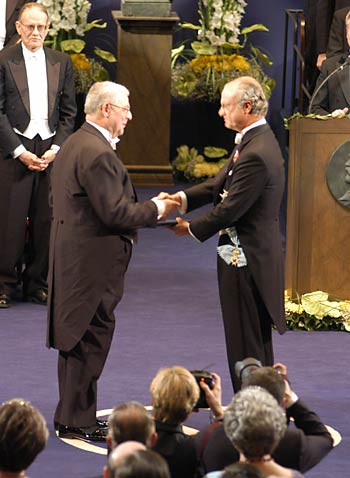 Below: Riccardo Giacconi receiving his Nobel prize in 2002; Riccardo Giacconi (right), with Hagen Kleinert (middle) and Remo Ruffini (left), in the basement of the ICRANet Centre in Pescara during his 6 years mandate as President of the ICRANet Scientific Committee from 2006 to 2012; Abdus Salam. At the dawn of the new millennium it was approached the need to extend this activity, based on Italian national laws, to the International scenario. Thanks to the support and advise of the Italian Minister of Foreign Affairs, a Statute was drafted for creating a truly international organization to develop the field of relativistic astrophysics worldwide. ICRANet has been indeed created by a law of the Italian Government, ratified unanimously by the Italian Parliament and signed by the President of the Republic of Italy on February 10th 2005. The Republic of Armenia, the Republic of Italy, the Vatican State, ICRA, the University of Arizona and the Stanford University have been the Founding Members. On August 12th, 2011 the President of Brazil Dilma Rousseff signed the entrance of Brazil in ICRANet. All of them have ratified the Statute of ICRANet (see Enclosures 1-2-3-4). Extensive Scientific reports have been presented every year to the Scientific Committee by the Director of ICRANet (see http://www.icranet.org/AnnualReports). The aim of this 2018 report is to review the traditional fields of research, upgrade the publication list and scientific results obtained in the meantime in the ICRANet Centers in Italy, Armenia, Brazil, France, report on the status of the requests of adhesion to ICRANet (see Enclosures 5-6), indicate the composition of the Faculty, of the Administrative Staff, of the Lecturers, of the Students. The Curricula of the ICRANet Staff are given in the Accompanying Document "The ICRANet Staff, Visiting Scientists and Graduate Students at the Pescara Center". I would like now to remind some Scientific Meetings organized by ICRANet in 2018 (see Enclosure 7). 15th Italian-Korean Symposium on Relativistic Astrophysics, Seoul, South Korea, July 3-7, 2017. 15th Marcel Grossmann Meeting (MGXV), Rome, Italy, July 1-7, 2018 (proceedings published by World Scientific). The Third Zeldovich meeting, Minsk, Belarus, April	23-27, 2018 (proceedings published by Springer in Astronomy Reports). Particularly intense have been the confirmation and extension of the existent agreements with the Universities and research centres. These collaborations are crucial in order to give ICRANet scientists the possibility to give courses and lectures in the Universities and, viceversa, to provide to the Faculty of such Universities the opportunity to spend research periods in ICRANet institutions. 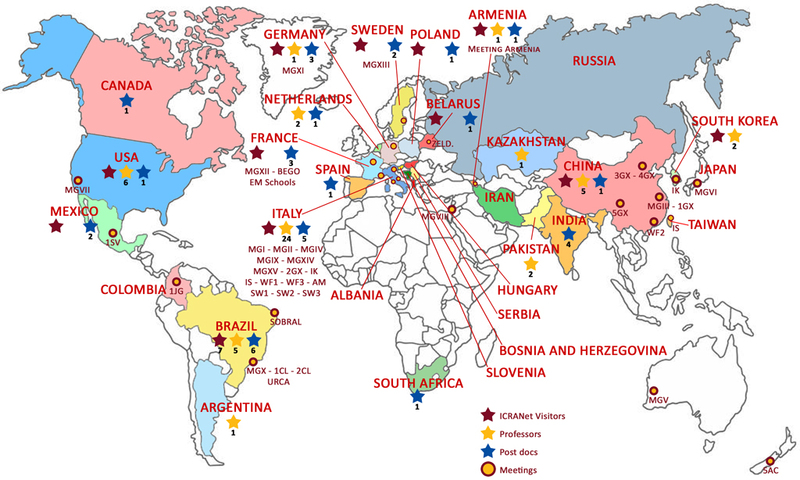 Map of the Institutions worldwide which signed an agreement with ICRANet, with the corresponding exchanges of professors, researchers and post-docs, as well as with the joint meetings organized. For an interactive version of this map, with the details of each and every Institution, see http://www.icranet.org/ScientificAgreements. One of the strong tools of success of the activity of ICRANet has been the International Ph.D. Program in Relativistic Astrophysics (IRAP-PhD) promoted by ICRANet (see Enclosure 8). In 2016 Armenia joined the French, German and Italian Universities in granting the degree. 4. Summary of the Main Lines of Research from Volume 2 and Volume 3 of the Report. We can now turn to the review of the scientific topics covered in the volumes 2 and 3. High Energy Gamma-rays from Active Galactic Nuclei (Page 1). Particularly important is this report, which summarizes the activities traditionally carried on by the ICRANet Armenian Scientists in the MAGIC and HESS collaborations, which acquire a particular relevance in view of the ICRANet Seat at the National Academy of Science in Armenia. This topic was motivated by Prof. Felix Aharonian joining ICRANet as representative of Armenia in the Scientific Committee and by his appointment as Adjunct Professor of ICRANet on the Benjamin Jegischewitsch Markarjan Chair. Many of the observational work done by Prof. Aharonian are crucial for the theoretical understanding of the ultra high energy sources. Prof. Aharonian started also his collaboration with the IRAP PhD program where he is following the thesis of graduate students as thesis advisor. The evolution and future prospects on the analysis of the high-energy gamma-ray emission are presented in this report by Prof. Aharonian and Dr. Sahakyan. The main new contribution in this very successful traditional field of research has been the nomination of Prof. Narek Sahakyan as Director of Yerevan ICRANet Centre. The support of the State Science Committee of Armenia has allowed to create in that Seat a remarkable number of IRAP-PhD students, and of Master and undergraduate students, with administrative and technical support. R. Ruffini,M. Karlica, N. Sahakyan, J. Rueda, Y. Wang, G. Mathews, C. Bianco, M. Muccino, "A GRB Afterglow Model Consistent with Hypernova Observations", The Astrophysical Journal, Volume 869, Issue 2, article id. 101, 9 pp. 2018. A. Abeysekara, ... N. Sahakyan, ... D. Zaric, "Periastron Observations of TeV Gamma-Ray	Emission from a Binary System with a 50-year Period", The Astrophysical Journal Letters, Volume 867, Issue 1, article id. L19,	8 pp., 2018. N. Sahakyan and S. Gasparyan "Dissecting the region around IceCube-170922A: the blazar TXS 0506+056 as the first cosmic neutrino source", Monthly Notices of the Royal Astronomical Society, Volume 480, Issue 1, p.192-203, 2018. N. Sahakyan, "Lepto-hadronic g-Ray and Neutrino Emission from the Jet of TXS 0506+056", The Astrophysical Journal, Volume 866, Issue 2, article id. 109, 6 pp. 2018. S. Gasparyan, N. Sahakyan, V. Baghmanyan, D. Zargaryan, "On the Multiwavelength Emission from CTA 102", The Astrophysical Journal, Volume 863, Issue 2, article id. 114, 11 pp., 2018. M. Aartsen, .... N. Sahakyan, .... T. Yuan, "Neutrino emission from the direction of the blazar TXS 0506+056 prior to the IceCube-170922A alert", Science, Volume 361, Issue 6398, pp. 147-151, 2018. V. Baghmanyan, M. Tumanyan, N. Sahakyan, Y. Vardanyan, "High-Energy g -Ray Emission from PKS 0625-35", Astrophysics, Volume 61, Issue 2, pp.160-170, 2018. N. Sahakyan, V. Baghmanyan, D. Zargaryan, "Fermi-LAT observation of nonblazar AGNs", Astronomy & Astrophysics, Volume 614, id.A6, 11 pp., 2018. B. Fraga, U. Barres de Almeida, S. Gasparyan, P. Giommi, N. Sahakyan, "Time-Evolving SED of MKN421: a multi-band view and polarimetric signatures", Frontiers in Astronomy and Space Sciences, Volume 5, id.1, 2018. S. Gasparyan, N. Sahakyan, P. Chardonnet, "The origin of HE and VHE gamma-ray flares from FSRQs", International Journal of Modern Physics D, Volume 27, Issue 10, id. 1844007, 2018. D. Zargaryan, N. Sahakyan, H. Harutyunian, "Chandra observations of gamma-ray emitting radio galaxies", International Journal of Modern Physics D, Volume 27, Issue 10, id. 1844022, 2018. V. Baghmanyan, N. Sahakyan, "X-ray and g-ray emissions from NLSy1 galaxies", International Journal of Modern Physics D, Volume 27, Issue 10, id. 1844001, 2018. The BSDC has been one of the leading projects of ICRANet Brazil which has been more significantly affected by the absence of support from Brazil. No matter these economical difficulties, the BSDC Centre has been fully operative and is now producing the first ICRANet catalog of Active Galactic Nuclei and of Gamma-Ray Bursts. This field has been pioneered by Prof. Belinski, in collaboration with Prof. Thibault Damour in Paris, Prof. Mark Henneaux at the University of Bruxelles, Prof. Hermann Nicolai in Berlin. A Lectio Magistralis by Prof. Belinski on the physics of fundamental interaction and unification field theory which is available on the ICRANet channel on YouTube (https://www.youtube.com/watch?v=omyR2hcgFic). The application of the Inverse Scattering Method (ISM), based on the Lax representation, to the integration of the vacuum Einstein equations was developed in 1978 by V.A.Belinski and V.E.Zakharov (BZ in the sequel). By this method they discovered the gravitational solitons, that is the solitonic excitations of the gravitational field in empty spacetime. In particular, there was shown that the Schwarzschild and Kerr black holes are solitons in the exact mathematical sense. Before 1987 only two cases of non-vacuum extension of this techniques were known. These are the case of perfect liquid with stiff matter equation of state (V.A.Belinski, 1979) and the case of electromagnetic field (G.A.Alekseev, 1980). In the framework of the last extention it was shown that the Reissner-Nordstrom and Kerr-Newman black holes also are solitons in the exact mathematical sense. Quite new non-vacuum extension of the ISM have been found in supergravity when two-dimensional spacetime is filled by the scalar fields and their fermionic superpartners. This outstanding integrable model have been created in 1987 by H.Nicolai. However, in spite of the big principal success this model had two technical shortcomings: (i) the integrability conditions of the Nicolai Lax pair does not contains the Dirac-like equations for the fermionic fields. Instead this linear spectral problem gives only a system of equations for some bosonic quadratic combinations made from fermions, (ii) the Nicolai Lax-pair has the poles of the second order in the complex plane of the spectral parameter while the pure gravity Lax representation has the poles of the first order only. The question aroused whether the Nicolai model can be covered by appropriately extended BZ approach because the last one is simpler and contains the fully developed technics for construction the exact solitonic solutions. This question was answered in affirmative and the foregoing two technical nuisances was removed during 2015-2016 in collaboration between ICRANet and Albert Einstein Institute at Golm. To cover the Nicolai model by the BZ approach it is necessary to extend the last one to the multidimensional superspace (including the anticommuting coordinates). In such a framework it was found the reformulation of the Nicolai linear spectral problem in the form containing only simple poles with respect the spectral parameter and leading (apart of equations for scalar fields) also to the Dirac-like equations for the fermionic superpartners of these scalars. Alongside with application to the Nicolai supergravity the constructed generalization of the BZ approach in superspace contains a possibility to generate the equations of motion for the much bigger array of the interacting bosonic and fermionic fields. However, the physical meaning of these new integrable systems remains to be clarified. V. Belinski and G. Vereshchagin "On the cosmological gravitational waves and cosmological distances", Phys. Lett. B, 778, 332 (2018). O. Luongo and H. Quevedo "Self-accelerated Universe induced by repulsive effects as an alternarive to dark energy and modified gravities", Foundation of Physics, 48, 17 (2018). D. Pugliese and H. Quevedo "Observes in Kerr spacetimes: the ergoregion on the equatorial plane", Eur. Phys. Journ. C, 78, 69 (2018). F. Frutos-Alfaro, H. Quevedo and P.A. Sanchez "Comparison of vacuum open science static quadrupolar metrics", Roy. Soc. Open Sci., 5, 170826 (2018). K. Boshkayev and H. Quevedo "Non-validity of I-LOVE-Q relations for hot white dwarfs stars", Month. Not. Roy. Astron. Soc., 478, 1893 (2018). D. Bini and T. Damour "Gravitational spin-orbit coupling in binary systems at the second post-Minkowskian approximation", Phys. Rev. D, 98, 044036 (2018). D. Bini, T. Damour and A. Geralico "Spin-orbit precession along eccentric orbits: improving the knowledge of self-force corrections and of their effective-one-body counterparts", Phys. Rev. D 97, 104046 (2018). D. Bini, T. Damour, A. Geralico and C. Kavanagh "Detweiler's redshift invariant for spinning particles along circular orbits on a Schwarzschild background", Phys. Rev. D 97, 104022 (2018). D. Bini, T. Damour, A. Geralico, C. Kavanagh and M. van de Meent "Gravitational self-force corrections to gyroscope precession along circular orbits in the Kerr spacetime", Phys. Rev. D 98, 104062 (2018). This has been one the most important field of research at the ICRANet Centre in Pescara. Many breaking new results have been obtained in 2018. Following the new GRB classification into seven different families introduced by ICRANet in 2016, we published the first catalog of all the observed Binary Driven Hypernovae (BdHNe), the GRB family which corresponds to the most energetic "long GRBs", with more than 300 analyzed sources. Moreover, in 2016 we started a complete rewrite of the numerical codes used to simulate the evolution of the electron-positron plasma producing a GRB and its interaction with the surrounding medium. This was meant to upgrade from the simplified semi-analytical approach, which had been used until then, to a full numerical integration of the complete system of partial differential equations describing the system. This upgrade of the numerical codes is still ongoing. In 2018 the first results of these new codes have been applied successfully to the study of early X-Ray Flares observed in BdHNe. 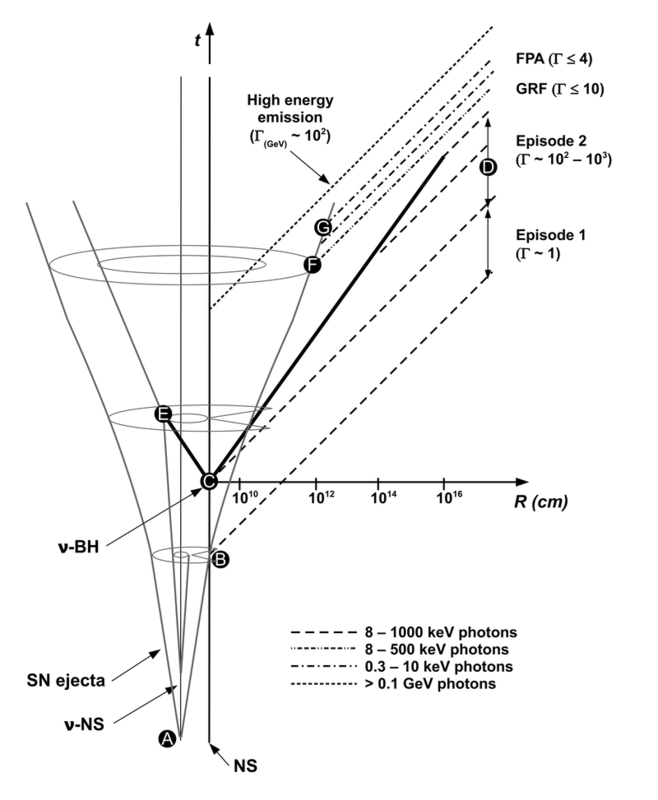 This led to the first comprehensive theory of the phenomenon and to the definition of the space-time diagram of BdHNe, which clearly show the markedly different regimes between the GRB prompt emission, with Lorentz gamma factors on the order of 102-103, and the X-Ray flares, with Lorentz gamma factors smaller than 4. Different regimes in GRB prompt emission (left) and X-Ray flares (right). Details in Ruffini, et al., ApJ, 852, 53 (2018). Space-time diagram of BdHNe. Details in Ruffini, et al., ApJ, 852, 53 (2018). R. Ruffini, Y. Wang, Y. Aimuratov, U. Barres de Almeida, L.M. Becerra, C.L. Bianco, Y.C. Chen, M. Karlica, M. Kovacevic, L. Li, J.D. Melon Fuksman, R. Moradi, M. Muccino, A.V. Penacchioni, G.B. Pisani, D. Primorac, J.A. Rueda, S. Shakeri, G.V. Vereshchagin, S.-S. Xue; Early X-Ray Flares in GRBs; The Astrophysical Journal, 852, 53 (2018). R. Ruffini, J. Rodriguez, M. Muccino, J.A. Rueda, Y. Aimuratov, U. Barres de Almeida, L.M. Becerra, C.L. Bianco, C. Cherubini, S. Filippi, D. Gizzi, M. Kovacevic, R. Moradi, F.G. Oliveira, G.B. Pisani, Y. Wang; On the Rate and on the Gravitational Wave Emission of Short and Long GRBs; The Astrophysical Journal, 859, 30 (2018). J.A. Rueda, R. Ruffini, Y. Wang, Y. Aimuratov, U. Barres de Almeida, C.L. Bianco, Y.-C. Chen, R.V. Lobato, C. Maia, D. Primorac, R. Moradi, J. Rodriguez; GRB 170817A-GW170817-AT 2017gfo and the observations of NS-NS, NS-WD and WD-WD mergers; Journal of Cosmology and Astroparticle Physics, 10, 006 (2018). 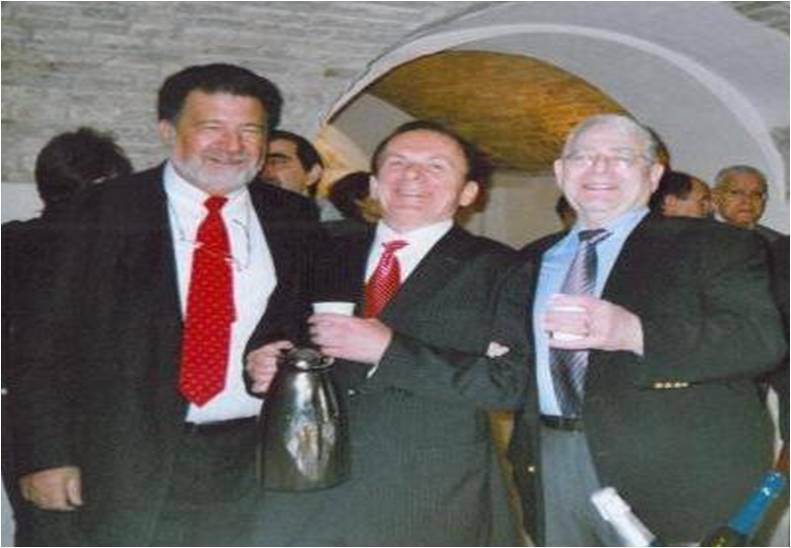 R. Ruffini, M. Karlica, N. Sahakyan, J.A. Rueda, Y. Wang, G.W. Mathews, C.L. Bianco, M. Muccino; A GRB Afterglow Model Consistent with Hypernova Observations; The Astrophysical Journal, 869, 101 (2018). R. Ruffini, L.M. Becerra, C.L. Bianco, Y.-C. Chen, M. Karlica, M. Kovacevic, J.D. Melon Fuksman, R. Moradi, M. Muccino, G.B. Pisani, D. Primorac, J.A. Rueda, G.V. 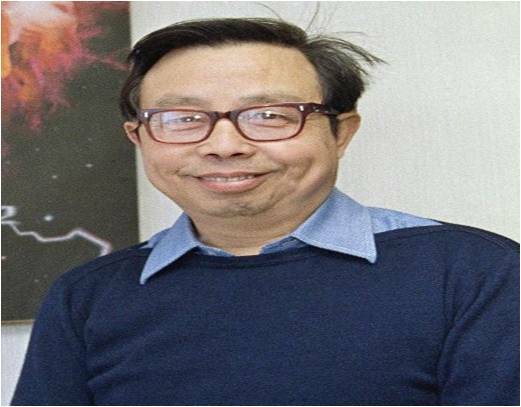 Vereshchagin, Y. Wang, S.-S. Xue; On the ultra-relativistic Prompt Emission (UPE), the Hard and Soft X-ray Flares, and the extended thermal emission (ETE) in GRB 151027A; The Astrophysical Journal, 869, 151 (2018). R. Moradi, R. Ruffini, C.L. Bianco, Y.-C. Chen, M. Karlica, J.D. Melon Fuksman, D. Primorac, J.A. Rueda, S. Shakeri, Y. Wang, S.-S. Xue; Relativistic Behavior and Equitemporal Surfaces in Ultra-Relativistic Prompt Emission Phase of Gamma-Ray Bursts; Astronomy Reports, 62, 905 (2018). D. Primorac, M. Muccino, R. Moradi, Y. Wang, J.D. Melon Fuksman, R. Ruffini, C.L. Bianco, J.A. Rueda; Structure of the Prompt Emission of GRB 151027A Within the Fireshell Model; Astronomy Reports, 62, 933 (2018). Astroparticle physics is a new field of research emerging at the intersection of particle physics, astrophysics and cosmology. 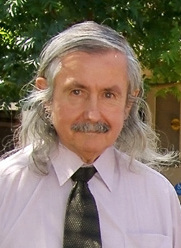 We focused on several topics with three major directions of research: a) electron-positron plasma, b) thermal emission from relativistic plasma and GRBs, c) Relativistic kinetic theory and its applications; d) ultra high energy particles and e) Self-gravitating systems of Dark Matter particles. Electron-positron plasma appear relevant for GRBs and also for the Early Universe, in laboratory experiments with ultraintense lasers, etc. Our numerical results indicate that the rates of three-particle interactions become comparable to those of two-particle ones for temperatures exceeding the electron rest-mass energy. Thus three particle interactions such as relativistic bremsstrahlung, double Compton scattering and radiative pair creation become essential not only for establishment of thermal equilibrium, but also for correct evaluation of interaction rates, energy losses etc. We found strong anisotropies in reaction rates in three-particle interactions. We also obtained new results on propagation of ultra high energy particles, such as photons, neutrinos and protons, at cosmological distances and the limiting distance (cosmic horizon) is obtained as function of particle energy. In addition, new calculations are performed for the cosmic horizon for photons subject to photon-photon scattering. In cosmology the new results were obtained on novel constraints on fermionic dark matter from galactic observables. G. V. Vereshchagin, "Cosmic horizon for GeV sources and photonphoton scattering", Astrophysics and Space Science, Vol. 363:29 (2018). V. A. Belinski and G. V. Vereshchagin, "On the cosmological gravitational waves and cosmological distances", Physics Letters B, Volume 778 (2018), pp. 332-338. M. A. Prakapenia, I. A. Siutsou, and G. V. Vereshchagin, "Numerical scheme for treatment of Uehling-Uhlenbeck equation for two-particle interactions in relativistic plasma", Journal of Computational Physics, Volume 373 (2018), pp. 533-544. M. A. Prakapenia, I. A. Siutsou, and G. V. Vereshchagin, "Numerical scheme for treatment of Uehling-Uhlenbeck equation for two-particle interactions in relativistic plasma", Astronomy Reports, 2018, Vol. 62, No. 12, pp. 925-931. M. A. Prakapenia, I. A. Siutsou and G. V. Vereshchagin, "Thermalization of electron-positron plasma with quantum degeneracy", Phys. Lett. A 383 (2019) 306. G.V. Vereshchagin and S. Bedic, "Loop Quantum Cosmology and Probability of Inflation", Astronomy Reports, 2018, Vol. 62, No. 12, pp. 958-963. C. R. Arguelles, A. Krut, J. A. Rueda, and R. Ruffini,"Novel constraints on fermionic dark matter from galactic observables I: The Milky Way' ", PDU, 2018, Vol. 21, pp. 82-89. The unsolved problem of a physical solution in general relativity of an astrophysical object which must be characterized necessarily by four parameters, mass, charge, angular momentum and quadrupole moment, has also been debated for years and it is yet not satisfactorily solved. The presence in ICRANet of Prof. Quevedo as an Adjunct Professor has shown an important result published by Bini, Geralico, Longo, Quevedo [Class. Quant. Grav., 26 (2009), 225006]. This result has been obtained for the special case of a Mashhoon-Quevedo solution characterized only by mass, angular momentum and quadrupole moment. It has been shown that indeed such a Mashhoon-Quevedo solution can be matched to an internal solution solved in the post-Newtonian approximation by Hartle and Thorne for a rotating star. The most important metrics in general relativity is the Kerr-Newman solution which describes the gravitational and electromagnetic fields of a rotating charged mass, characterized by its mass M, charge Q and angular momentum L in geometrical units. 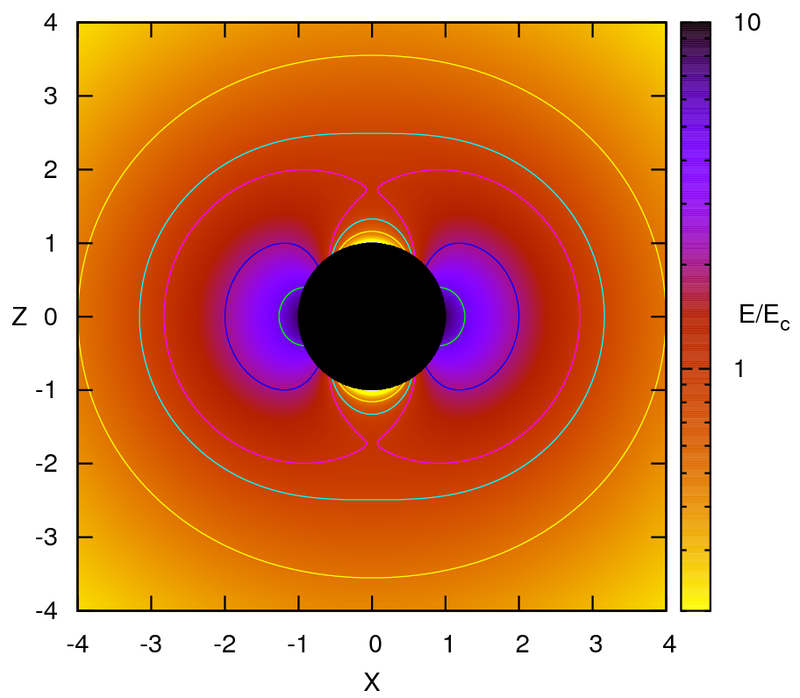 This solution characterizes the field of a black hole. For astrophysical purposes, however, it is necessary to take into account the effects due to the moment of inertia of the object. To attack this problem, an exact solution of the Einstein-Maxwell equations have been proposed by Mashhoon and Quevedo which posses an infinite set of gravitational and electromagnetic multipole moments. It is not clear, however, how this external solution to an astrophysical object can be matched to a physical internal solution corresponding to a physically acceptable rotating mass. Pugliese, D.; Quevedo, H.; "Observers in Kerr spacetimes: the ergoregion on the equatorial plane"; The European Physical Journal C, Volume 78, Issue 1, article id.69, 2018. Luongo, O.; Quevedo, H.; "Self-accelerated Universe Induced by Repulsive Effects as an Alternative to Dark Energy and Modified Gravities"; Foundations of Physics, Volume 48, Issue 1, pp.17-26, 2018. This report refers to the activity of Prof. Brian Punsly, who is actively participating within ICRANet with the publication of his internationally recognized book on "Black hole gravitohydromagnetics", the first and second edition (2010) being published with Springer. In addition, Prof. Punsly have been interested in observational properties of quasars such as broad line emission excess in radio loud quasars accentuated for polar line of sight and excess narrow line widths of broad emission lines in broad absorption line quasars, showing that this is best explained by polar lines of sight. This problem "The electron-positron pairs in physics and astrophysics: from heavy nuclei to black holes" has been the subject of a physics reports of more than 500 references, which is inserted on page 767, by Ruffini, Vereshchagin and Xue. There, all the different aspects of the field has been reviewed: The fundamental contributions to the electron-positron pair creation and annihilation and the concept of critical electric field; Nonlinear electrodynamics and rate of pair creation; Pair production and annihilation in QED; Semi-classical description of pair production in a general electric field; Phenomenology of electron-positron pair creation and annihilation; The extraction of blackholic energy from a black hole by vacuum polarization processes. Due to the interaction of physics and astrophysics we are witnessing in these years a splendid synthesis of theoretical, experimental and observational results originating from three fundamental physical processes. They were originally proposed by Dirac, by Breit and Wheeler and by Sauter, Heisenberg, Euler and Schwinger. For almost seventy years they have all three been followed by a continued effort of experimental verification on Earth-based experiments. The Dirac process, e+e- →2 γ, has been by far the most successful. The Breit-Wheeler process, 2γ → e+e-, although conceptually simple, being the inverse process of the Dirac one, has been by far one of the most difficult to be verified experimentally. The e+e- pairs generated by the vacuum polarization process around a gravitationally collapsing charged core are entangled in the electromagnetic field (R. Ruffini, L. Vitagliano, S.-S. Xue, Phys. Lett. B 573, (2003) 33), and thermalize in an electron-positron-photon plasma on a time scale ~ 104 τc (R. Ruffini, L. Vitagliano, S.-S. Xue, Phys. Lett. B 559, (2003) 12). 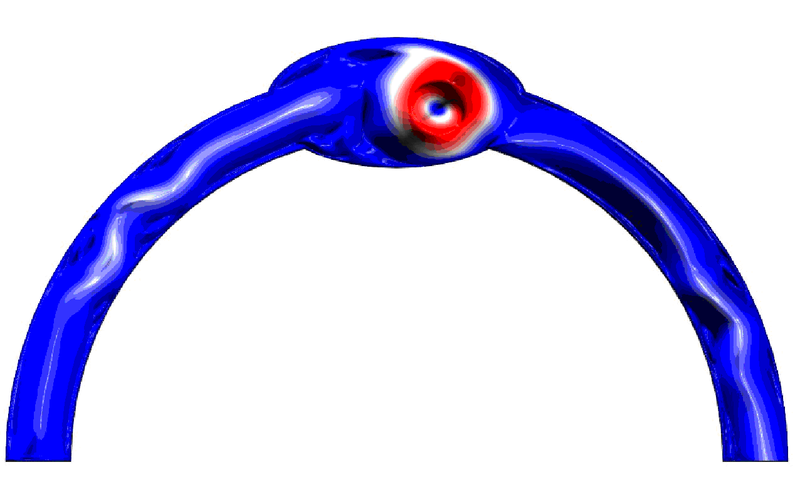 As soon as the thermalization has occurred, the hydrodynamic expansion of this electrically neutral plasma starts (R. Ruffini, J. Salmonson, J. Wilson, S.-S. Xue, A&A Vol. 335 (1999) 334; Vol. 359 (2000) 855). While the temporal evolution of the e+e- gravitationally collapsing core moves inwards, giving rise to a further amplified supercritical field, which in turn generates a larger amount of e+e- pairs leading to a yet higher temperature in the newly formed e+e-γ plasma. As a consequence, an enormous amount of pairs is left behind the collapsing core and a Dyadosphere (G. Preparata, R. Ruffini, S.-S. Xue, A&A Vol. 338 (1998) L87) is formed. see also B. Han, R. Ruffini, S.-S. Xue, Physics Review D86, 084004 (2012), R. Ruffini, and S-S. Xue, Physics Letters A377 (2013) 2450. The Schwinger pair-production and nonlinear QED effects in a curved space time are also studied. Taking into account the Euler-Heisenberg effective Lagrangian of one-loop nonperturbative QED contributions, we formulate the Einstein-Euler-Heisenberg theory and study the solutions of nonrotating black holes with electric and magnetic charges in spherical geometry (R. Ruffini, Y.-B. Wu and S.-S. Xue, Physics Review D88, 085004 (2013)). In addition, the Schwinger pair-production and back reaction are recently studied in de Sitter space time in order to understand their roles in early Universe, some results are published (C. Stahl, E. Strobel, and S.-S. Xue, Phys. Rev. D 93, 025004 (2016); C. Stahl and S.-S. Xue, Phys. Lett B 760, 288-292 (2016); E. Bavarsad, C. Stahl and S.-S. Xue, Phys. Rev. D 94, 104011 (2016)). An interesting aspect of effective field theories in the strong-field or strong coupling limit has recently been emphasized. We study that pair-production in super-position of static and plane wave fields, and in the strong fields expansion, the leading order behavior of the Euler-Heisenberg effective Lagrangian is logarithmic, and can be formulated as a power law (H. Kleinert, E. Strobel and S-S. Xue, Phys. Rev. D88, 025049 (2013), Annals of Physics Vol. 333 (2013) 104). We have also investigated the fundamental processes relevant to the issues of intense laser physics, pair-production (E. Strobel and S-S. Xue , Nucl. Phys B 886, (2014) 1153); two laser beams colliding with a high-energy photon (Y.-B. Wu and S-S. Xue, Phys. Rev. D 90, 013009 (2014)), as well as pair-oscillation leading to electromagnetic and gravitational radiation (W.-B. Han and S.-S. Xue, Phys. Rev. D89 (2014) 024008). We study the photon circular-polarization produced by two-laser beams collision (R. Mohammadi, I. Motie, and S.-S. Xue, Phys. Rev. A 89, 062111 (2014)), and by laser and neutrino beams collisions (Phys. Lett. B 731 (2014) 272; Phys. Rev. D 90, 091301(R) (2014)). In order to account for future observations of GRBs photon polarizations, the possible microscopic origins and preliminary values of GRBs photon polarizations are theoretically calculated (S. Batebi, R. Mohammadi, R. Ruffini, S. Tizchang, and S.-S. Xue, Phys. Rev. D 94, 065033 (2016)). Similarly, by considering possible microscopic interactions and processes, we study the polarization of CMB in cosmology, compared with recent observations (R. Mohammadi, J. Khodagholizadeh, M. Sadegh, and S.-S. Xue, Phys. Rev. D93, 125029 (2016)). All these fundamental processes of microscopic and macroscopic physics are relevant to high-energy phenomena in relativistic astrophysics, black hole physics and laser physics, as early Universe and modern Cosmology. C. Cherubini, S. Filippi, A. Loppini, R. Ruffini, R. Moradi, Y. Wang,and S.-S. Xue, "On Perfect Relativistic magnetohydrodynamics around black holes in horizon penetrating coordinates", Physical Review D, Volume 97, Issue 6, 064038, 2018. Takahiro Hayashinaka, She-Sheng Xue, "Physical renormalization condition for de Sitter QED ", Phys. Rev. D 97, 105010 (2018). Hagen Kleinert, She-Sheng Xue, "Composite fermions and their pair states in a strongly-coupled Fermi liquid ", Nuclear Physics B. Volume 936, November 2018, Pages 352-363. The study of compact objects such as white dwarfs, neutron stars and black holes requires the interplay between nuclear and atomic physics together with relativistic field theories, e.g., general relativity, quantum electrodynamics, quantum chromodynamics, as well as particle physics. In addition to the theoretical physics aspects, the study of astrophysical scenarios characterized by the presence of a compact object has also started to be focus of extensive research within our group. The research which has been done and is currently being developed within our group can be divided into the following topics: nuclear and atomic astrophysics, compact stars (white dwarfs and neutron stars) physics and astrophysics including radiation mechanisms, exact solutions of the Einstein and Einstein-Maxwell equations applied to astrophysical systems and critical fields and non-linear electrodynamics effects in astrophysics. Also this year we have made progress in all the above fields of research. 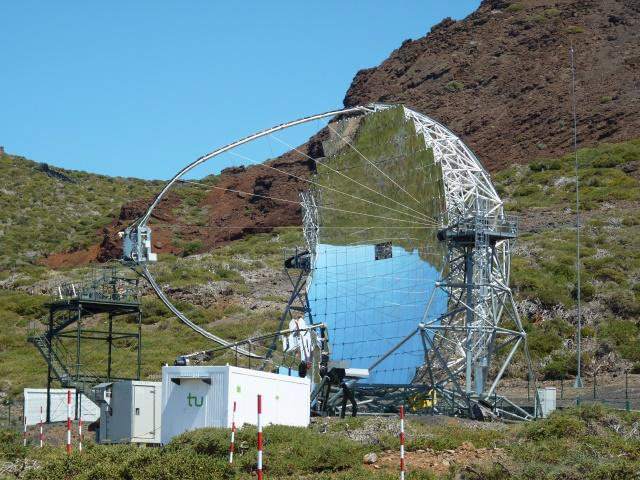 It is worth to mention that in the recent years it has been established a strong collaboration between the research on the observational and theoretical aspects of GRBs and the one on the physics and astrophysics aspects of white dwarfs and neutron stars. In particular, this collaboration has focused on the problem of establishing the possible progenitors of both short and long GRBs, together with the further development of the model for the explanation of the experimental data of GRBs from the radio all the way to the gamma-rays. In this line I would like to recall the work by Becerra et al. "On the induced gravitational collapse scenario of gamma-ray bursts associated with supernovae", ApJ 833, 107 (2016), in which we have, following our induced gravitational collapse (IGC) paradigm of long GRBs, presented numerical simulations of the explosion of a carbon-oxygen core in a binary system with a neutron-star companion. In this work we have presented simulations that follow the hypercritical accretion process triggered onto the neutron star by the supernova explosion, the associated copious neutrino emission near the NS accreting surface, as well as all relevant hydrodynamic aspects within the accretion flow including the trapping of photons. We have shown that indeed the NS can reach the critical mass and collapse to a black hole producing a GRB. Interesting new lines of research has been opened thanks to this work: we have shown that the presence of the neutron star companion near the carbon-oxygen core causes strong asymmetries in the supernova ejecta and that the GRB emission can also interact with the supernova ejecta. Both phenomena cause specific observable signatures which we are currently examining and probing in GRB data. We have also gone further in probing neutron star binaries as progenitors of short GRBs. Especial mention has to be given in this line to the work of R. Ruffini et al., "GRB 090510: a genuine short-GRB from a binary neutron star coalescing into a Kerr-Newman black hole", ApJ 831, 178 (2016). We are starting a new era in which, from GRB data, we can extract information on the neutron star parameters leading to black hole formation after the binary coalescence. This kind of research is also of paramount importance to put constraints on the matter content and equation of state at supranuclear densities in neutron stars. It is also important to mention that we are performing new research on the gravitational wave emission from compact object binaries leading to GRBs, which not only is important by itself but it is relevant to establish the capabilities of current second generation gravitational wave detectors such as Advanded LIGO to detect the gravitational waves associated with GRB events. We have to mention here the work by R. Ruffini et al., "On the classification of GRBs and their occurrence rates", ApJ 832, 136 (2016), in which we have established a novel classification of short and long GRBs, their binary progenitors, as well as their occurence rate, being the latter necessary to predict a detection rate of the gravitational wave emission from GRBs. We have also made progress in the understanding of soft gamma ray repeaters (SGRs) and anomalous X-ray pulsars (AXPs). The most used model for the explanation of SGRs/AXPs is based on "magnetars", ultramagnetized neutron stars. Since there is so far no experimental evidence of such extreme, B > 100 TG, surface magnetic fields in neutron stars, we have focus our effort in analyzing the data of SGRs and AXPs and check whether these objects could be explained by canonical, well tested and experimentally confirmed stars. This was the main idea of a pioneering work of Malheiro, Rueda and Ruffini, "Soft-Gamma-Ray Repeaters (SGRs) and Anomalous X-Ray Pulsars (AXPs) as rotation powered white dwarfs", PASJ 64, 56 (2012). It was there shown that, indeed, massive (masses of 1 solar mass), fast rotating (rotation periods 1-10 second), highly magnetized (magnetic fields of 1 giga gauss) white dwarfs could explain the observational properties of SGRs/AXPs. In addition, it was there shown that some sources (at the time four) could actually be ordinary, rotation-powered neutron stars. That work opened a new field of research which led in the recent years to several ICRANet publications on the properties of such magnetized white dwarfs, including their radiation emission which has been compared and contrasted with observations. It is particularly important to recall that this area of research has been very active and prolific thanks to an intense collaboration with Brazilian colleagues, including professors and postdoc former students at ICRANet. In the 2016 we have made two important contributions within this collaboration. First, in the work by D. L. Cáceres, et al., "Thermal X-ray emission from massive, fast rotating, highly magnetized white dwarfs", MNRAS 465, 4434 (2016), it has been shown that such white dwarfs can behave in a similar way as the well-known pulsars, with a specific emission in the X-rays which can explain the soft X-ray emission observed in SGRs and AXPs. Second, in the work by J. G. Coelho et al., "On the nature of some SGRs and AXPs as rotation-powered neutron stars", to appear in A&A; arXiv:1612.01875, it has been shown that up to 11 out of the total 23 SGRs/AXPs known to date, could be described as rotation-powered neutron stars. Rodriguez, J. F.; Rueda, J. A.; Ruffini, R., On the Final Gravitational Wave	Burst from Binary Black Holes Mergers, Astronomy Reports 62, 940, 2018. Rueda, J. A.; Ruffini, R.;Wang, Y.; Aimuratov, Y.; Barres de Almeida, U.; Bianco, C. L.; Chen, Y. C.; Lobato, R. V.; Maia, C.; Primorac, D.; Moradi, R.; Rodriguez, J. F., GRB 170817A-GW170817-AT 2017gfo and the observations of NS-NS, NS-WD and WD-WD mergers, Journal of Cosmology and Astroparticle Physics, Issue 10, 006, 2018. Ruffini, R.; Rodriguez, J.; Muccino, M.; Rueda, J. A.; Aimuratov, Y.; Barres de Almeida, U.; Becerra, L.; Bianco, C. L.; Cherubini, C.; Filippi, S.; Gizzi, D.; Kovacevic, M.; Moradi, R.; Oliveira, F. G.; Pisani, G. B.;Wang, Y., On the Rate and on the Gravitational Wave Emission of Short and Long GRBs, The Astrophysical Journal 859, 30, 2018. Becerra, L.; Rueda, J. A.; Lorén-Aguilar, P.; García-Berro, E., The Spin Evolution of Fast-rotating, Magnetized Super-Chandrasekhar White Dwarfs in the Aftermath of White Dwarf Mergers, The Astrophysical Journal 857, 134, 2018. Rodriguez, J. F.; Rueda, J. A.; Ruffini, R., Comparison and contrast of testparticle and numerical-relativity waveform templates, Journal of Cosmologyand Astroparticle Physics, Issue 02, 030, 2018. Becerra, L.; Guzzo, M. M.; Rossi-Torres, F.; Rueda, J. A.; Ruffini, R.; Uribe, J. D., Neutrino Oscillations within the Induced Gravitational Collapse Paradigm of Long Gamma-Ray Bursts, The Astrophysical Journal 852, 120, 2018. GRBs have broaden the existing problematic of the study of Supernovae. In some models, e.g. the "collapsar" one, all GRBs are assumed to originate from supernovae. Within our approach, we assume that core-collapse supernovae can only lead to neutron stars, and we also assume that GRBs are exclusively generated in the collapse to a black hole. Within this framework, supernovae and GRBs do necessarily originate in a binary system composed by an evolved main sequence star and a neutron star. The concept of induced gravitational collapse leads to the temporal coincidence between the transition from the neutron star to the black hole and the concurrent transition of the late evolved star into a supernova. This very wide topic has been promoted by the collaboration with Prof. Massimo Della Valle, who is an Adjunct Professor at ICRANet and who is currently Co-PI of a VLT proposal "A spectroscopic study of the supernova/GRB connection". This kind of research is particularly important for trying to find a coincidence between electromagnetic radiation, high-energy particles, ultra high-energy cosmic rays, neutrinos and gravitational radiation, possible observable for existing or future detectors. A short summary of the internationally well-known activities of Prof. Della Valle is given in the report, which contains the many publications in international journals. A new stimulus has come from the recent understanding of the IGC paradigm, which allows a completely new understanding of the relation between the supernovae and the GRBs. We have studied (Bini, Esposito, Geralico) cosmological models, involving non-ideal fluids as sources of the gravitational field, with equation of state typical for fluids undergoing phase transitions as a possible mechanism to generate the content of dark matter in the present Universe. We have continued our works on perturbations of black hole spacetimes (Bini, Damour, Geralico), with transcription of the associated results into the effective-one-body model, i.e. the model which encompasses all other approximation techniques for the description of a two-body system. In particular, we have studied the backreaction due to particles moving on eccentric orbits in Schwarzschild and Kerr spacetimes. Moreover, we have started the inclusion of second order perturbation effects into the effective-one-body model and considered gravitational self-force effects (Bini, Carvalho, Geralico) on a scalar charge orbiting a Reissner-Nordstrom spacetime. We have continued our studies (Bini, Geralico) on drag and friction forces around black hole spacetimes, motivated by the necessity of a deeper understanding of effects like the well known Poynting-Robertson effect. We have considered (Bini, Jantzen, Geralico) gyroscope precession effects along eccentric orbits (either bound or elliptic-like and unbound or hyperbolic-like) around a Kerr spacetime. Finally (Bini, Mashhoon) we have studied tidal forces around a Kerr black hole, with applications in gravitational gradiometry as well as some novel applications of nonlocal gravity to conformally flat spacetimes. Bini D., Chicone C., Mashhoon B., Twisted Gravitational Waves, Phys. Rev. D, 97, no. 6, 064022 (2018). Bini D., Damour T., Geralico A., Kavanagh C., Detweiler's redshift invariant for spinning particles along circular orbits on a Schwarzschild background, Phys. Rev. D, 97 no.10, 104022 (2018). Bini D., Geralico A., On the energy content of electromagnetic and gravitational plane waves through super-energy tensors, Class. Quantum Grav., 35 no.16, 165006 (2018). Bini D., Chicone C., Mashhoon B., Rosquist K., Spinning particles in Twisted Gravitational Wave Spacetimes, Phys. Rev. D, 98, 024043 (2018). Bini D., Esposito G., On the local isometric embedding of trapped surfaces into three-dimensional Riemannian manifolds, Class. quantum Grav., 35 no.19, 195003 (2018). Bini D., Damour T., Gravitational spin-orbit coupling in binary systems at the second post-Minkowskian approximation, Phys. Rev. D, 98, 044036 (2018). Bini D., Geralico A., High-energy hyperbolic scattering by neutron stars and black holes, Phys. Rev. D, 98, 024049 (2018). Bini D., Geralico A., Gravitational self-force corrections to tidal invariants for spinning particles on circular orbits in a Schwarzschild spacetime, Phys. Rev. D, 98, 084021 (2018). Bini D., Geralico A., Gravitational self-force corrections to tidal invariants for particles on eccentric orbits in a Schwarzschild spacetime, Phys. Rev. D, 98, 064026 (2018). Bini D., Geralico A., Gravitational self-force corrections to tidal invariants for particles on circular orbits in a Kerr spacetime, Phys. Rev. D, 98, 064040 (2018). Rosquist K., Bini D., Mashhoon B., Twisted Gravitational Waves of Petrov type D, Phys. Rev. D 98, 064039 (2018). Bini D., Geralico A., Jantzen R.T., Black hole geodesic parallel transport and the Marck recipe for isolating cumulative precession effects, Phys. Rev. D, submitted (2018). Bini D., Damour T., Geralico A., Kavanagh C., van de Meent M., Gravitational self-force corrections to gyroscope precession along circular orbits in the Kerr spacetime, Phys. Rev. D, 98, 104062 (2018). In 2017 the work on classical rotating self-gravitating configurations characterized by a multi-parametric rotation law, written in collaboration with Dr F. Cipolletta, Dr J. Rueda and Prof. R. Ruffini, has been published. In the manuscript a detailed and elegant graphical analysis regarding the stability of the configurations (in particular against mass shedding) in the velocity field's parameters's space has been presented. In the general relativistic context, an article regarding the last stable orbit around neutron stars has been published. An interesting comparison between numerical simulations and analytical estimates in this case led the authors to find simple, accurate and especially analytical formulas of great interest for astrophysical applications. The study has been performed by using three different equations of state (EOS) based on nuclear relativistic mean field theory models but it is expected that the formulas found will be still valid also for other equations of state. Finally a "compare and contrast" procedure of these results with Kerr metric quantities has been performed too. Cherubini C., Filippi S., Loppini A.,Moradi R., Ruffini R., Wang Y.,Xue S., Phys. Rev. D 97, 064038 (2018). J. A. Rueda R. Ruffini, J. F. Rodriguez, M. Muccino, Y. Aimuratov, U. Barres de Almeida, L. Becerra, C. L. Bianco, C. Cherubini, S. Filippi, M. Kovacevic, R. Moradi, G. B. Pisani, and Y.Wang, EPJWeb of Conferences 168, 01006 (2018). These researches have been focused in fluid-structure problems in hemodynamics in arbitrary Lagrangian-Eulerian formulation, a mathematically involved theory which describes systems of partial differential equations with free boundary conditions. Specifically the nonlinear equations' set which describes the fluid and the elastic wall within which the fluid flows have been numerically integrated and the previously introduced TDB risk indicator has been applied to this more involved case in order to perform a risk assessment. On the other hand, a numerical analysis of the same mathematical problem, but focused on the case of different biomedical prostheses applied to real patients' geometries has been carried out in order to perform a quantitative comparison of the mechanical behavior of the different scenarios, having in mind as ultimate target the best outcomes for patients' health. Left: Electrical activity map of an electro-elastic deformed patch of cardiac-type tissue. 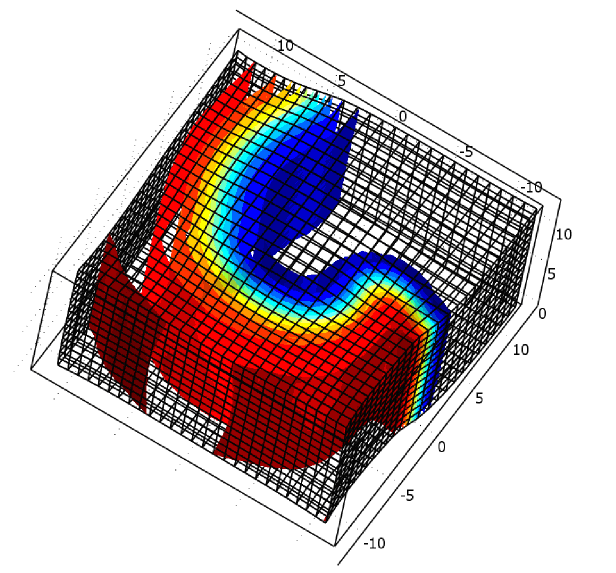 Right: Turbulent flow structure (specifically the velocity amplitude) in a deformed vessel, obtained by numerical integration through finite elements of the incompressible Navier-Stokes equations. Boccia E., Gizzi A., Cherubini C., Nestola M.G.C., Filippi S., "Viscoelastic computational modeling of the human head-neck system: Eigenfrequencies and time-dependent analysis" (2018), Int J Numer Meth Biomed Engng. 34:e2900. We turn now (see Enclosure 9) to review the ICRANet activities of 2018 though the issues of the ICRANet Newsletter bimonthly published in 2018 simultaneously in Armenian, Chinese, English, Italian, Portuguese, and Russian (see http://www.icranet.org/news). I like to express, also on behalf of all Members of ICRANet, our gratitude to the Ministers of Foreign Affairs, and to the Ministers of Economy and Finances, of Italy, Armenia, including the State Committee of Science of Armenia, and Brazil for their support. I also express the gratitude to the Vatican Secretary of State, to the Presidents of the Universities of Tucson and Stanford as well as to the President of ICRA for their support to the ICRANet activities. Particular recognition goes to Italian Foreign Minister for having supported ongoing ICRANet activities in Belarus, Iran, and Kazakhstan which, coordinated with Armenia, are opening new opportunities of Research in Central Asia. Equally important the support by local organizations to the traditional activities in China (Mainland) and China (Taiwan) and in Korea. I like as well to recall the further extensions of activities within Columbia and Argentina whose Universities and Research organizations have generously contributed trough the financial support of students and postdocs to the further expansion of ICRANet activities. For all this a particular gratitude goes to Min. Fabrizio Nicoletti, to Cons. Enrico Padula and to Prof. Immacolata Pannone, of the Italian Ministry of Foreign Affairs and International Cooperation for their attention and constant support and advice. A special recognition goes to the activities of the many Ambassadors and Consuls who have greatly helped in the intense series of activities carried out by ICRANet in Belarus, Brazil, China, Colombia, Italy, Mexico. I also express the plaudit for the support of ongoing activities at Villa Ratti to the President of Nice University Prof. Frédérique Vidal, and to the Vice President Prof. Stéphane Ngï Maï, as well as to the Director of the Observatoire de la Cïte D'Azur Prof. Thierry Lanz. We are grateful to the Mayor of Pescara, Marco Alessandrini, to the Mayor of Nice Philippe Pradal, to the President of PACA, Christian Estrosi, to the Cons. Agnès Rampal of PACA, to the President of the National Academy of Science of Armenia, Prof. Radik Martirosyan, and to the Director of CBPF in Rio de Janeiro, Prof. Ronald Shellard, for their generous support in granting to ICRANet the logistics of the Centers in their respective townships. Clearly, a special mention of satisfaction goes to all the Scientific Institutions and Research Centers which have signed with ICRANet a collaboration agreement. The complete list can be found at http://www.icranet.org/ScientificAgreements. 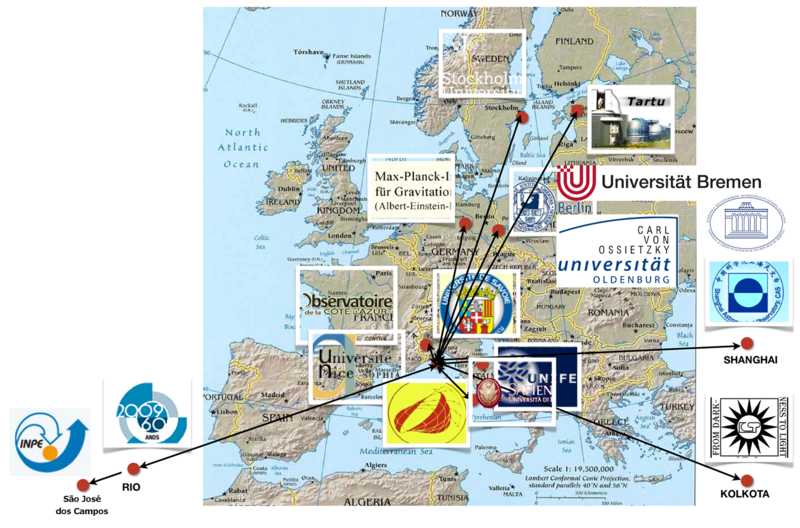 ICRANet, as sponsor of the IRAP-PhD program, expresses its gratitude to AEI - Albert Einstein Institute - Potsdam (Germany), ASI - Agenzia Spaziale Italiana (Italy), Bremen University (Germany), Bucaramanga University (Colombia), Carl von Ossietzky University of Oldenburg (Germany), CBPF - Brazilian Centre for Physics Research (Brazil), CNR - Consiglio Nazionale delle Ricerche (Italy), Ferrara University (Italy), ICRA (Italy), INAF - Istituto Nazionale di Astrofisica (Italy), Indian centre for space physics (India), Institut Hautes Etudes Scientifiques - IHES (France), Inst. of High Energy Physics of the Chinese Academy of Science - IHEP-CAS, China, INPE (Instituto Nacional de Pesquisas Espaciais, Brasil), Max-Planck-Institut für Radioastronomie - MPIfR (Germany), Nice University Sophia Antipolis (France), National Academy of Science (Armenia), Observatory of the Côte d'Azur (France), Rome University - "Sapienza" (Italy), Savoie-Mont-Blanc University (France), Shanghai Astronomical Observatory (China), Stockholm University (Sweden), Tartu Observatory (Estonia), UAM - Universidad Autónoma Metropolitana (Mexico) for their joint effort in creating and activating this first European Ph.D. program in Relativistic Astrophysics which has obtained the official recognition of the Erasmus Mundus program of the European Community. All these activities were achieved thanks to the dedicated work of Prof. Pascal Chardonnet. A special mention of gratitude, of course, goes to the Administrative, Secretarial and Technical staff of ICRANet and ICRA for their essential and efficient daily support and to all Faculty for their dedication to fostering, opening and teaching new scientific horizons in our knowledge of the Universe.